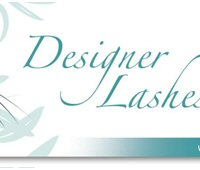 Specialising in eyelash extensions, Janette and her team are award winning master lash technicians and will design lash extensions to suit each individual client. A £25 deposit is payable on booking. Payment Options: Cash or Credit Card. PLEASE NOTE: If you’ve never had lash extensions (or LVL and Brow Sculpting) before or within the last 6 months you will need to pop in for a patch test. Please book the test at least 24 hours prior to you appointment. Please bare in mind there is no 100% guarantee that you will not get a reaction even if the results are negative. We advise to book the treatment a few days before an important event, in case of an allergic reaction.